How to apply R.O.C. Visa? Starting from April 9, 2012, ROC visa applicants need to first access the website: https://visawebapp.boca.gov.tw, fill out the visa application forms online and then print them out. The completed forms with bar codes and other required documents ought to be submitted to the R O C’s overseas missions which the applicants have selected while filling out their application forms. The offline application forms will no longer be accepted. B. The nationals of the following countries are eligible for the visa exemption program, which permits a duration of stay up to 30 days：Australia, Malaysia, Singapore, U.S.A.
C. The nationals of India, Thailand, Philippines, Vietnam, Indonesia, who also possess a valid visa or permanent residence certificate issued by U.S.A., Canada, Japan, U.K., Schengen Convention countries, Australia or New Zealand are eligible for the visa exemption program, which permits a duration of stay up to 30 days. 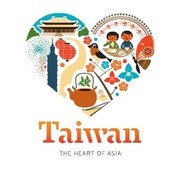 Those who meet the above qualification and have never been employed in Taiwan as blue-collar workers, have to apply to the “Advance Online Registration System for the Visitors of Nationals from Five Southeast Asian Countries to Taiwan” of National Immigration Agency for Entry Permit before coming to Taiwan. Upon completion, the printed confirmation is used to validate the traveler during the boarding and the immigration check. During the immigration check, travelers who can not show a valid visa or permanent resident visa issued by one of the aforementioned countries will not be admitted into the country.